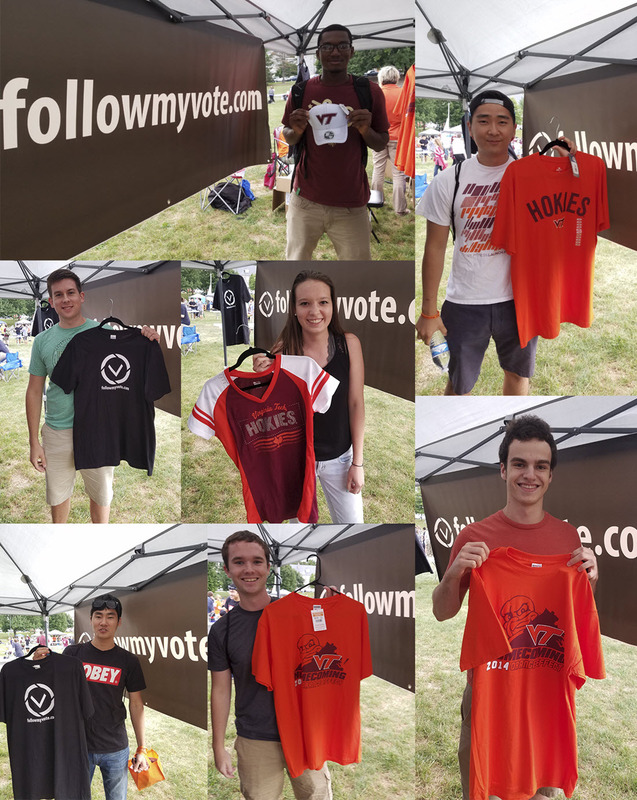 On Friday, September 2nd, Follow My Vote attended Virginia Tech’s Gobblerfest event to connect with students. Gobblerfest is an annual festival intended to engage students in campus activities and help them connect with the surrounding community while inspiring curiosity, civility and self-understanding. Gobblerfest is a great way for students to meet each other, explore common interests, and become a part of the Virginia Tech community. 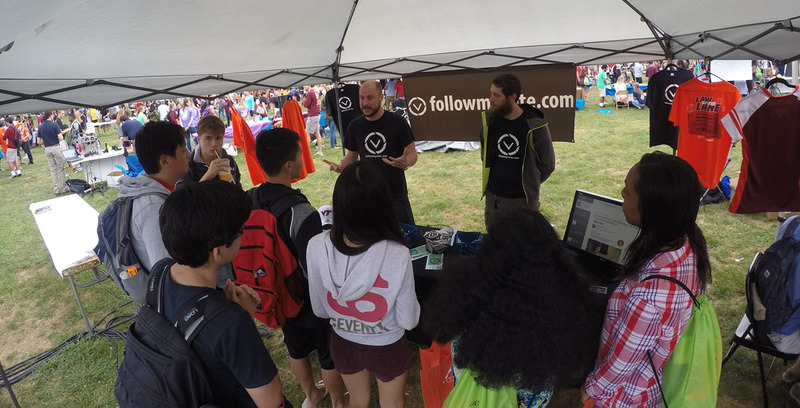 Student organizations, businesses, non-profit organizations, and Virginia Tech departments offer food, games, free giveaways, and information at booths around the Virginia Tech Drillfield. Follow My Vote offers internships every semester. We are currently taking applications on our website and we wanted to make sure all Virginia Tech students were aware of these opportunities. Our marketing internship is our most popular internship. We teach interns how the world of digital media works. Interns build their skills learning branding techniques and marketing software used by companies and agencies around the world. Follow My Vote internships are a great way to prove value and earn a full time position at the company. Follow My Vote was recently featured in Forbes for pioneering advancements in the voting industry with blockchain technology. We can now use software to safeguard against vote rigging and give voters the ability to verify that their vote was correctly cast. Students welcomed our knowledge of blockchain technology and eagerly asked questions about how our voting software works. Towards the end of the event, Follow My Vote held a raffle for some Hokie gear and Follow My Vote t-shirts. Here are the winners! 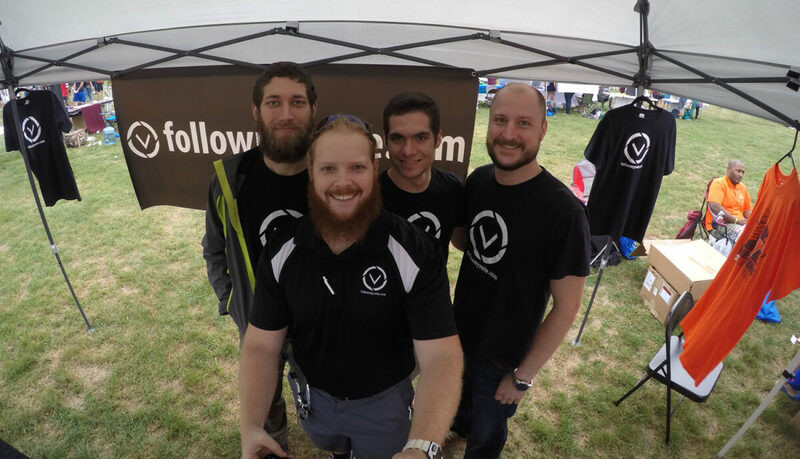 We had a great time at Virginia Tech’s Gobblerfest and we would highly suggest local businesses join us next year. Students held all sorts of booths for different clubs. We got some cool pictures of cars, breakdancing and displays students had created. See our Facebook album for all the pictures from the event.